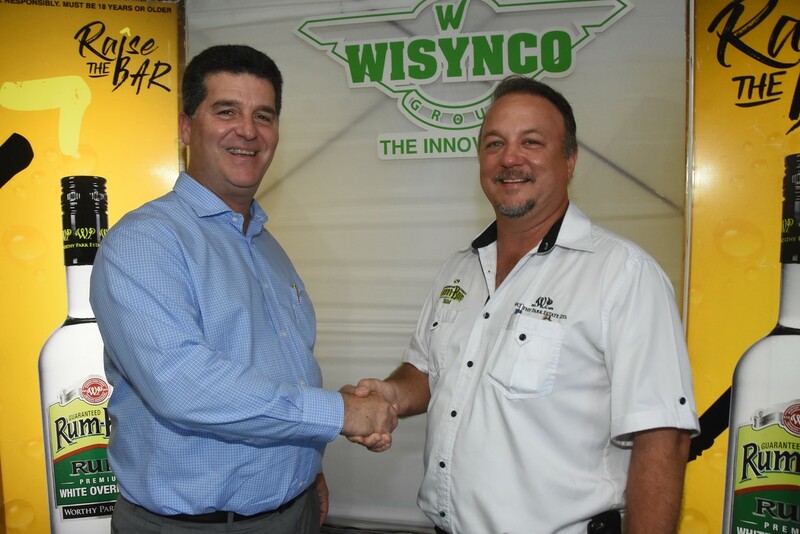 Co-Managing Director of Worthy Park Estate Limited Gordon Clarke (right) and Chairman of Wisynco Group Limited William Mahfood (left), shake on a deal well tailored for both entities to enter an exclusive five-year distribution agreement. Wisynco Group expects to earn an additional $2 billion annually, in a newly signed deal with Worthy Park Estate. Wisynco on Monday announced the five-year partnership, which will see it take over distribution of the rum maker’s spirits and sugar portfolios. The company will handle distribution, sales, trade and marketing and advising on product innovation, while Worthy Park will handle its manufacturing and consumer marketing. Wisynco will commence distribution of Worthy Park’s spirits on November 1, and begin marketing the estate’s sugar on January 1, during which time a new retail packaging for sugar will be introduced. “We are confident in their products, as they are producers of the highest quality sugar and we are aiming to get their brands to every shop in the island. This partnership will present no risks to current profits and can only add benefit to our investors,” said Wisynco chairman William Mahfood. The agreement was facilitated through an equity investment with its parent company Wisynco (Caribbean) Group, owned by the Mahfood family. 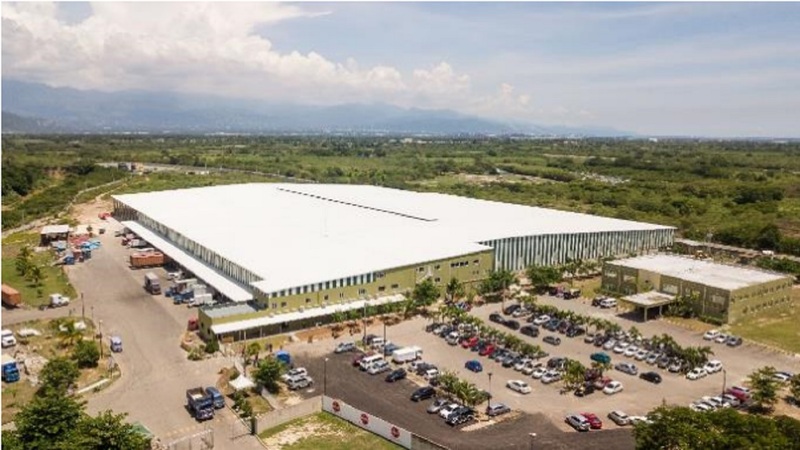 This new 30 percent acquisition by Wisynco Group Caribbean positions Wisynco as one of the largest agro distributors, evidenced by Wisynco’s investment in Trade Winds Citrus (Tru Juice) which equated to a 50 percent stake in that company. Speaking at the press briefing at Worthy Park's Ewarton, St Catherine office, Co-Managing Director of Worthy Park Estate, Gordon Clarke, said Wisynco’s stellar reputation as one of the Caribbean’s largest food and beverage distributors was one one of the reasons behind appointing the company as an exclusive local distributor. “With Wisynco’s proven track record as both a manufacturer and distributor, we had no hesitation to offer them part ownership in our company and the opportunity to distribute our products locally,” Clarke said. In announcing the partnership on Monday, Mahfood also addressed the Government’s current campaign which is promoting the reduction of sugar intake, as it relates to obesity; and why this did not discourage Wisynco’s decision to support the local sugar industry. Mahfood said the key is to consume a variety of food and beverages in moderation and to exercise. 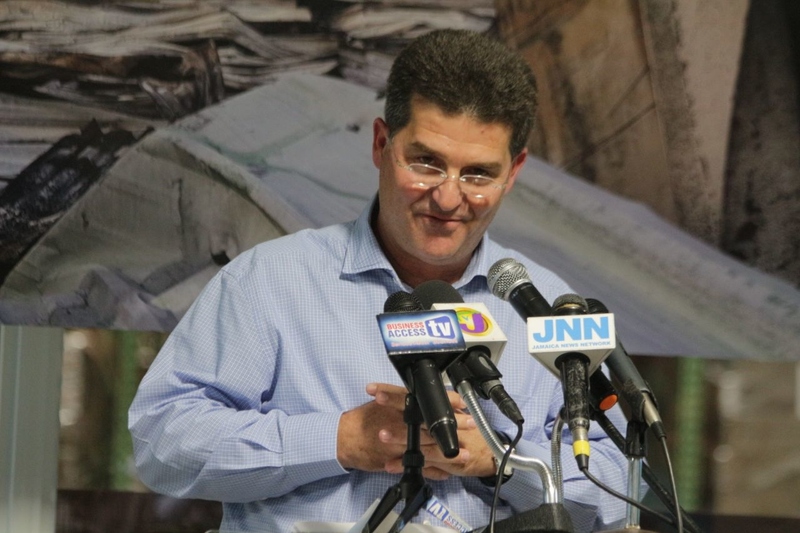 Prior to the new agreement, Worthy Park’s sugar was distributed through Jamaica Cane Products Sales Limited. 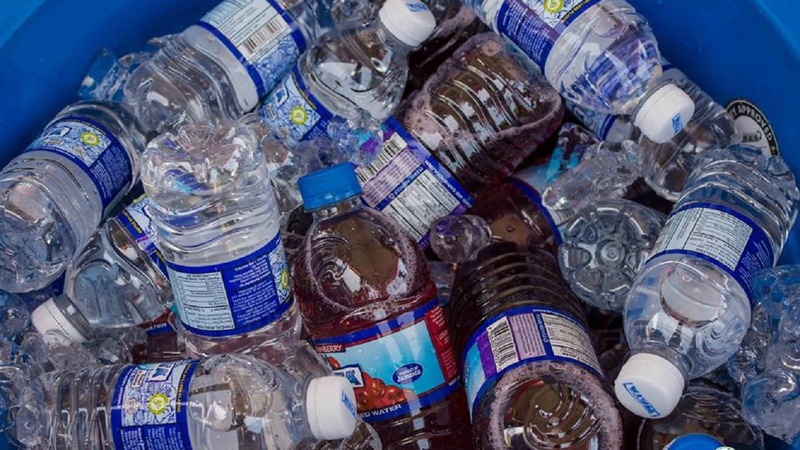 Meanwhile, Select Brands was responsible for distributing 15 percent of WPEL’s volume of spirits, leaving a significant amount (85 percent) for them to manage independently. 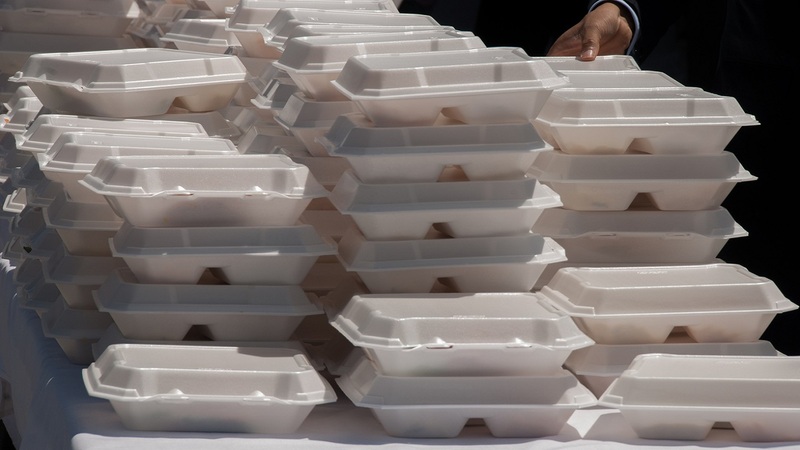 This presented high associated costs and led WPEL to seek more cost-effective alternatives which would allow them to focus on new product innovation. A privately-owned sugar factory, Worthy Park holds a share of 30 per cent of the total local sugar production. It currently distributes 60 per cent of its sugar and 80 per cent of its rum within the local market. Worthy Park’s line of spirits includes its premier liqueur Worthy Park Single Estate Reserve and Rum-Bar brands which include rums (Silver, Gold, Rum Cream, and Rum,) and vodkas (Vodka Classic and Vodka Green Apple). Wisynco’s expansive distribution centre has 360,000 square feet of dry goods warehouse; operates 300 contracted and 60 company-owned trucks, and boasts a sales force of over 700 team members.